#BoycottEKane in Vancouver… At this point in time all I see in the media is Evander Kane this Evander Kane that. I have to ask what is so great about Kane and why does everyone think he has all this value? What has he done to earn any of that sort of respect, I see nothing special there at all, perhaps I am short-sighted or don’t have any vision at all, but I don’t see it. All I see is a maybe…. Don’t the Canucks have enough maybes? The Canucks are only a year or two away from some major restructuring, I think all of us can see where the true problem lies within our dear Canucks. I don’t mean any disrespect when I say this at all but all things come to an end sometime, right? That end is not far away at all which means we will be adding pieces to fill big holes left by departure. I just gotta ask is Evander Kane a player that will be capable of filling any of these holes? I mean honestly, don’t apply your criticism to the fact that he is a hometown boy lets ask ourselves realistically if the Canucks need this. 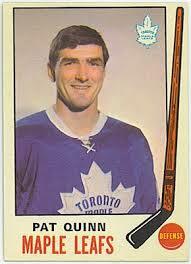 He has never played a full season without injury he averages in the mid sixties for games played per season. He has broken 20 goals once in 2011-2012 with 30 and scoring 19 goals on two different occasions. Is this worth Horvat, Virtanen and a 1st round pick, really is it? 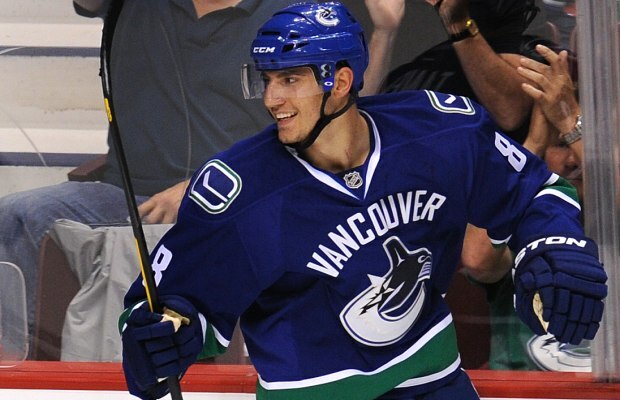 I mean Horvat is starting to show some value and feels like the surer maybe. I know I am not a genius I have been wrong but boy trading for Kane couldn’t feel more wrong. 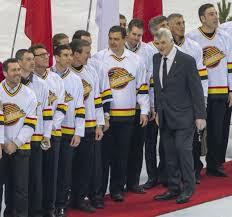 I had the same deep gut feeling when the Canucks signed Messier and Sundin and when they hired Gillis and Torts. Hiring Iron Mike was the only train wreck I didn’t feel coming until it was too late oddly enough. I don’t see this being a good thing for the Canucks honestly I would rather have just kept Kesler. A couple of positives I have noticed are Ronalds Kenins and Clendening. Kenins is a hard working young guy that works hard and seems to know how to shoot the puck I mean 2 goals in 3 games kind of makes me wonder why he is sitting over Chris Higgins. Maybe Higgins needs a rest or something but to me he has been pretty invisible the last month or so. How many goals Higgy? Sorry bud but you have been a streaky player that has always been fairly decent defensively and to me that says third line. Ryan Clendening is a d-man that has seemed to just slide into place nicely. Smooth skater good passer that could use a bit more edge, we’ll know soon if he fits or not. 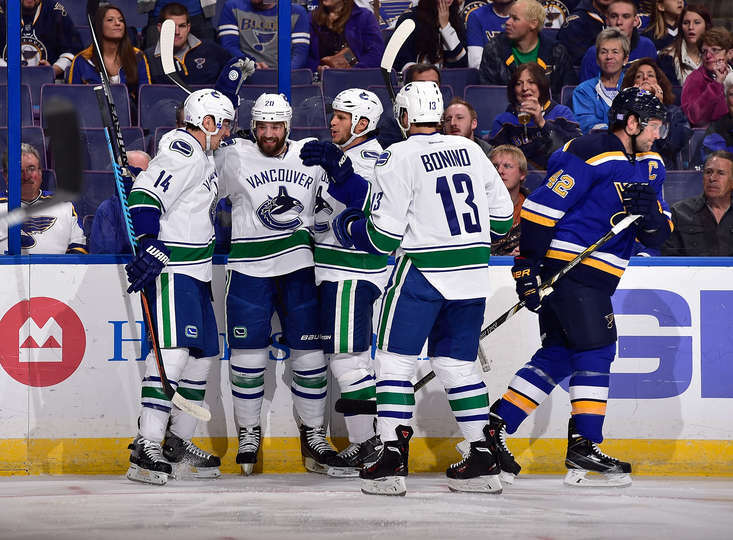 I love our Canucks I really do I just find it extremely hard to believe they can be the team they were that beat the Penguins on Saturday as well as the team (with brief flashes of the Saturday team) they were against Minnesota on Monday. There was no resemblance of teams there at all despite the brief flashes. What would this fall under for jurisdiction of blame here? Obviously the preparation for the 2 games was totally different. 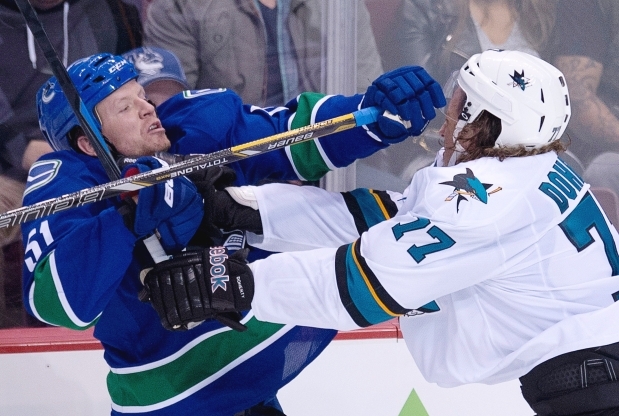 It had to be to see such a vast body of difference between the 2 Canuck teams. Is this the coach, his staff, the trainers or just plain disinterest on the part of the players? I don’t know, I can only shake my head say #BoycottEKane, smile and wave cause the last thing we need here is to give up young talent for the center of a circus. @StuartLucky must understand what I’m talking about look at the beautiful feature image he made for me. Fantastic artwork thanks Stuart. Til next time folks don’t let some crazy nightmare ruin your buzz. This entry was posted in ALL THINGS CANUCKS and tagged #BoycottEKane. Bookmark the permalink. It all started with an eastern road trip that began very well, 3 – 0 – 1 to be exact and all fans on deck were filling up the bandwagon faster than a Lamborghini can change lanes and and end up in the bush. Once things started going a bit south for our boys in blue and green said bandwagon started emptying faster than an emergency response to said Lamborghini. It truly is amusing and funny how quick the panic set in after the slump started. This player is useless or that player demanded a trade and it starts our usual merry pick apart of the team. The slump was bound to happen but the most important thing is the team’s response to the slump which was not give up. It has honestly been a long time since I have seen the work ethic of our team as strong as it is now a long, long time. I think we may even have to go as far back as 1994 to find the work ethic we are seeing right now. 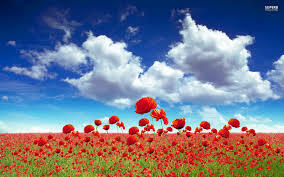 It is especially gratifying because it makes the loss that much easier to take. There is nothing worse than watching your team lose a game all the while watching them all mope and pout in the same game. They are taking ownership for who they all are in relation to the team. it is exciting and most of all refreshing. Now I know the argument will come my way as to what about the team that went to the final? What about their work ethic and all I have to say to that is game 7 of the Stanley Cup Final was 4 – 0 and we all knew from the first Bruins goal that night how the game was going to go. They moped, sulked and pouted their way around the ice praying the score wouldn’t be ridiculous. They never really had to work the wins were just coming. The first time they did have to dig down deep they didn’t get there and they have not been there since, until this season that is. 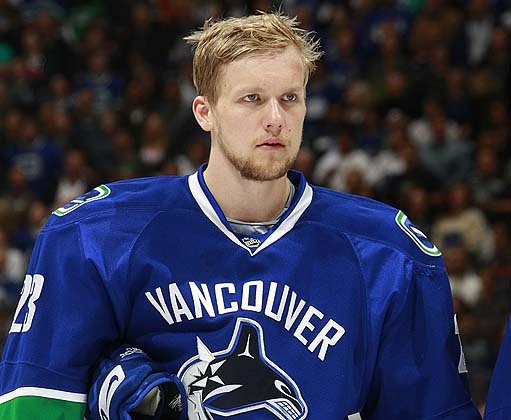 Don’t get me wrong I love our 2011 edition of the Canucks there was a lot of skill there with one of the best goalies in the league as well as circumstance that stole us a lot of points that we did not necessarily deserve. Not to mention a great coach who took the New York Rangers to the Cup Final the season he was let go from the Canucks. It is good to see them all playing with a purpose this year as compared to not having a clue what was going on most of last year. 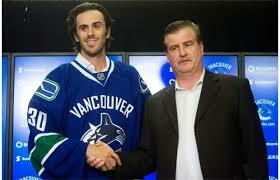 The slump has spurred a lot of rumors one of them being being that Burrows had demanded a trade. Does this make sense to anyone? A third line player that, for the most part, got first line minutes and second line salary demanded a trade? First off what gives him any right to demand anything? Does him scoring 2 goals while playing on the fourth line last night versus Arizona give him some clout. Second why would he want to go anywhere? He is included in the description of the teams “core”, he gets respect from fans and other players on the team. It does not make sense to me which is why I will discard this rumor for what it is… Fishing. Now I said some similar things before the Kesler trade so really it shows you how much I know. Speaking of Kesler it sure has gone quiet on that front. Mr Bonino I suggest you pick your game up a little bit or you will be the media and Canuck nay-sayers next target. On that note I bid you all a very Merry Christmas and our friend @StuartLucky has sent me a few gifts to share with you. Thanks Stuart!! 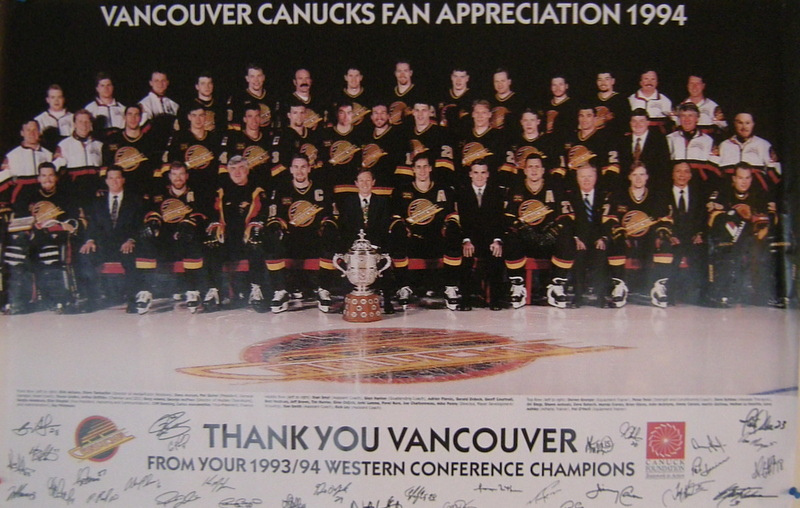 This entry was posted in ALL THINGS CANUCKS and tagged Canucks Bandwagon. Bookmark the permalink. TIME TO KISS KESS GOODBYE…. Was that Kiss or Kess? Not certain at this point but I know we, as Canuck fans, are pretty happy to boo Kess out of town. I admit I wasn’t surprised at the reaction he got from Vancouver fans but I find myself surprised that he was shocked by the welcome he got for his first game back here as a Duck. As well as he played in Vancouver for ten years he would have to expect that the people he essentially played for would be a bit irritated that he jumped ship. A professional band wagon jumper couldn’t have done it better. I understand and respect the fact that he saw no future in Vancouver as that is his choice to make just don’t tell the fans of the team you want off of that you love the city and never asked to be traded. How do you think they are going to react feeling rejcted by a player they loved for ten years? @StuartLucky a talented cyber artist had this for me this week and I ask Canuck fans.. Does this sum it all up? 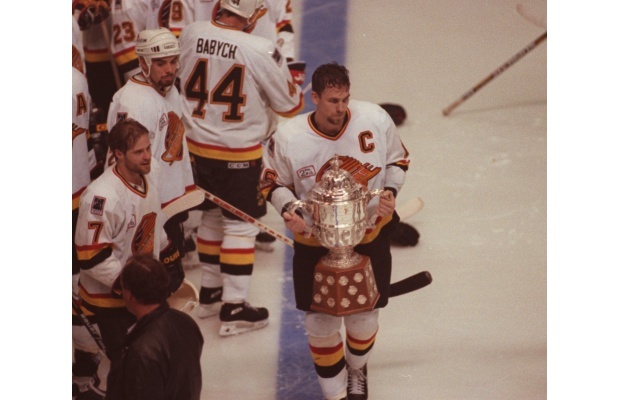 Some more work from @StuartLucky tells me Kesler had other things on his mind than playing hockey and I’m sure you have all heard the rumors, you know, the same kind of rumor that followed ex Canuck Jeff Brown out of town in 94′? worst comes to worst Kess can always get a modeling job, eh? Stuart’s question was “who wears it best?” What do you think? Getting back to hockey now, the Canucks performance against Phe I mean, Arizona was the first time this season that I have seen a mirror of last season in the fact that they really didn’t seem to have much interest in playing. I questioned the edge missing from their play all game and quite honestly it did remind me of last year. It is a mute point whether Hanzal’s goal should have counted or not. The Canucks weren’t dangerous before the goal and sure it not counting may have created a different reaction from Vancouver but I think we all had an idea of how that game going to finish. It just had one of those, nothing is going right, vibes to it. Did they just take the Coyotes too lightly? That was a common occurrence last season, disinterest and under estimation. Very common indeed. The Oiler game was a perfect example of this but fortunately they finished that off with all of us Canuck fans wondering if we were watching an all star game. Back and forth all night and it was without a doubt an exciting game to watch unless you were coaching staff or management. This will not work in the playoffs against power teams it will be simply they’re back and no forth. The Canucks did manage to steal a point from the Ducks and after Getzlaf’s goal I was thinking, oh,oh here we go. I was extremely impressed by the second period response by the Boys In Blue And Green. They took the game over hard and really took it to Anaheim reminding me of the President’s trophy winning team that once played here. Our defense needs some work. I have said it before and I will say it again “WE NEED A NUMBER ONE D MAN” all of the last three games have proven this to me more and if we are without Hamhuis for any extended amount of time don’t be surprised to see a move happen soon. 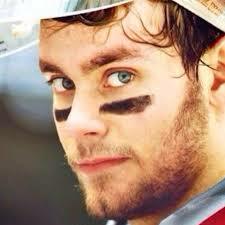 I heard Myers was being shopped by Buffalo and Winnipeg is apparently very interested in Eddie Lack. I love the Stork and I would hate to see him go but the bettering of our team would make it sting a little less. What does Winnipeg have to offer and who else may be interested in Lack? We will have to wait and see. Til next time fellow Canuckheads I leave you with this….Two games versus Vancouver and Kesler has done nothing to make the Canucks think they made a mistake. Let’s follow Linden and Benning on this one and Kiss Kess goodbye..
Daniel Bonino, Henrik Dorsett and Radim Richardson? Wait….What? 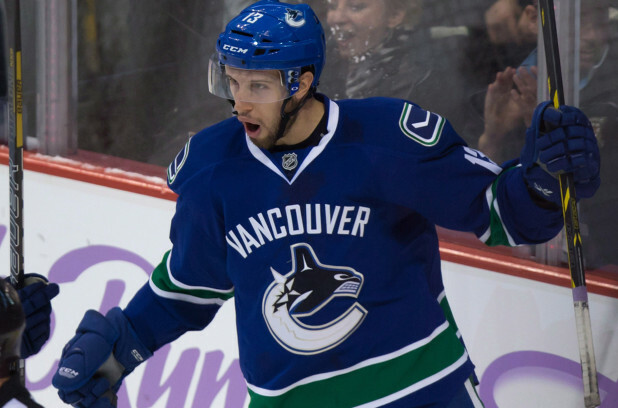 (First Star) So I begin this week’s blog with a comment on the fantastic goal from Daniel Bonino and Henrik Dorsett. No, this is not a spelling error they truly looked like the Twins coming down 2 on 1 in the Canucks OT win over the Habs Thursday night. I have to say if you could not see their faces or jersey numbers it would be an honest mistake thinking it was the Twins. Gorgeous goal and I hope we get to see more of them from Bonino. Dorsett sure laid that pass over nice didn’t he? He has been solid shuffling between the third and fourth lines while looking comfortable in either role and he can pass the puck while possessing ability to hit the night. Good score Mr. Benning. 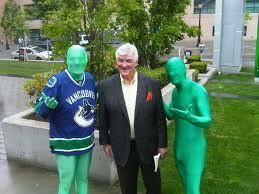 (Second Star) There is the issue of head shots that is now running rampant all over the Vancouver media. Was Burrows hit a head shot, why was there no penalty but a suspension and what will happen to Ference with his hit on Kassian Saturday night as for discipline? As Burrows does not have a history of suspensions I am sure most of us would believe no suspension or 1 game at most with a fine would have sufficed. I know if Ference does not get 3 games for his hit that was very similar to Burrow’s there will be hell to pay. They both left their feet and they both moved in an upward motion to contact the head. In my opinion it, at very least, will expose the dysfunction of the NHL’s ability to enforce their hazy rule book. We also have to remember what we, as Canuck fans, would have said about the hit if Subban was Burrows and Emelin was Daniel or Henrik. We would see a totally different reaction and opinion. All bias aside, sorry Burrows, you did the crime and you got your time. 48.2 Minor Penalty – For violation of this rule, a minor penalty shall be assessed. 48.3 Major Penalty – There is no provision for a major penalty for this rule. 48.4 Game Misconduct Penalty – There is no provision for a major penalty for this rule. 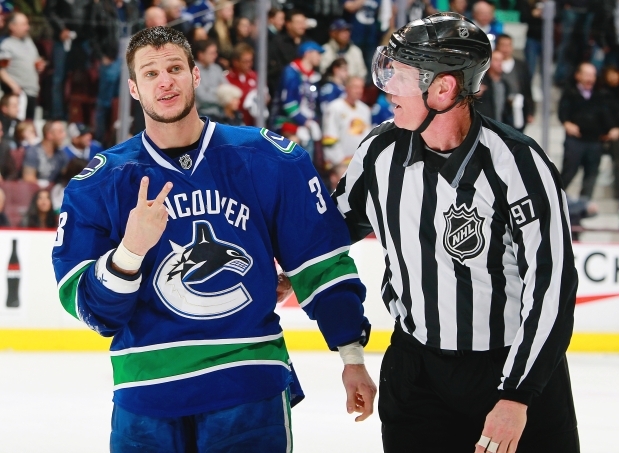 How many 5 minute majors and game misconducts have been handed out in the past? But as we see there is no provision for these in the NHL rule book. Does that mean referee’s discretion? Does the difference between a major and a minor penalty depend on the mood of the referee on any given night? Team’s fates should never be in the hands of referees but from what I have seen in the past few years it seems every team’s fate is in the hands of the officials. What can be done about this without seriously slowing down the pace of individual games? I know a review process during games will eliminate double headers. (Third Star) Well it does seem that I am eating some of my words in regards to Ryan Miller being capable as he has proven to be eveything I said he wouldn’t be. After 9 games played he appears more than capable and really you can’t argue with an 8 – 1 – 0 record after 9 games. 16 out of 18 possible point in games they need to win is truly a ‘pot of gold’. Honestly I don’t believe our dear Eddie Lack would have gotten all 16 of those points. I’m not going to elaborate on Sir Lack’s record other than the Canucks are 8 -3 – 0 in 11 games. So you all understand why I, being an Eddie supporter, won’t go further at this point right? 16 out 18 points means no really cares about Miller’s numbers right? Well, I’m going to tell you anyway just so I can have a second helping of my words. in 9 games Miller’s save % is .918, he has a 2.24 GAA, 1 shutout and 19 goals against. 16 out of 18 points, you tell me what matters. Miller has to share the spot in the third star limelight with Radim Richardson and this again is not a misprint. That laser he put by Price was extremely Vrbata like. 3 goals in 2 games, yeah I know it’s only 2 games, not bad for a fourth liner. I find he really gives his all when battling for the puck. Can’t help but like him. One more thing just on an “in case you might care basis.” Barry Trotz, when coaching the Predators made speeches in the Nashville locker room and at the end of these speeches he would insert a saying. New Preds coach Peter Laviolette does not do anything like that so at the end of the new coach’s speeches the players would insert their own sayings. This lasted 2 or 3 games and stopped. Way to take control of the locker room Lav. This entry was posted in ALL THINGS CANUCKS and tagged 3Stars, Canucksweekunbeaten, Daniel Bonino, Henrik Dorsett, Richardson. Bookmark the permalink. CANUCKS ROLLER COASTER RIDE GOING UP? My next question (of which I can provide no clear answer) is where is our second line and who is it exactly that is on this fictitious second line? So far I’ve seen little flashes of them here and there and I have to assume this second line consists of Nick Bonino, Alex Burrow and Chris Higgins. I do have to ask the question can the second line keep up? The Canucks have still not faced any of the true power teams in the Western conference and the second line has been some what invisible versus the middle of the standings teams. Dallas whitewashed the Canucks 6 – 3 and Colorado did similar damage with a 7 – 3 blasting. The second line not being there is a partial guilty party. What can they do to improve this within the line up? It must be addressed or it will get worse. If there is no solution in the line up who can they trade and who might they want? I do believe this is the only forward line that needs to be addressed as they have shown we will not go far in the playoff (or even make the playoffs) with things the way they are. 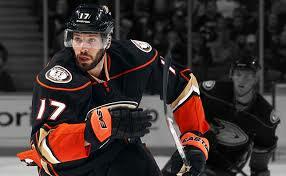 Kesler leaving definitely left a hole at center and despite the changes the hole is still there. The second half of the guilty party is the Canucks blue line. I have to say that it has been brutally inconsistent. There has been at least one D-man playing awful. 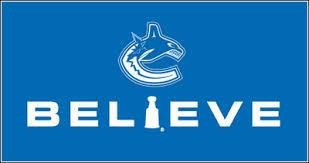 A good thing is the are not all awful at once which has pulled a few wins out for the Canucks. Edler seems to have settled a bit but he is still guilty of a couple bad shifts a game (that is consistent), Bieksa seems to be all over the place chasing a tail that isn’t there and Tanev has yet to show any of the reasons why the Canucks consider him a top four D-man. Did last season cause irreparable damage to their confidence? 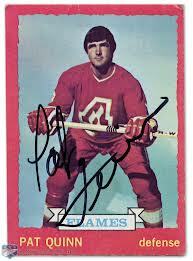 I know Mike Keenan definitely ruined some players confidence permanently so it is possible Tortorella has done so too. What is the solution to this if it is a problem? Willie Desjardins has a lot of work to do with our blue line corps and I don’t envy the position he is in although I do have confidence in him. Will Buffalo part with Myers, would he fit here and what would it take to get him? What other defensemen may be available? I hate to say it but I am starting to believe trade is the only route and honestly I don’t thing GM Jim Benning will wait to long to address it. Not many chances left for our guys, you can almost feel that. How long would you give it? Goal-tending issues? I don’t know if I would call them issues as both Lack and Miller have shown both signs of brilliance and signs of being flops. 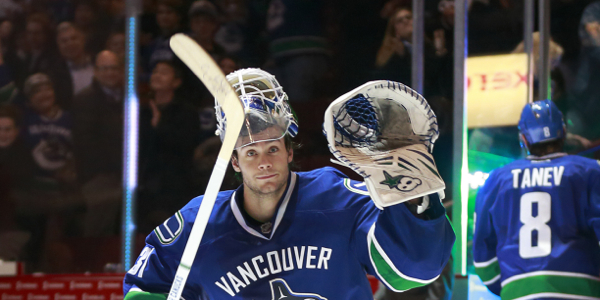 An interesting stat I heard last week about Markstrom and that is 0.83 GAA .979 SV% and 2 shutouts in three games. Now is everyone thankful that no team claimed him on waivers? My only question is how do we use him in the NHL? He would have to clear waivers again and with those kind of numbers, if they continue, you can almost guarantee he will be claimed. Are there ways around it? This I am not sure but we could use him right now. The two goalies we have are more than capable though so I think it is still a matter of settling in. Was signing Miller a mistake? It may be but I’ll say it is only October and not mid season so maybe ask me again then. I do still have mixed emotions on this as you can plainly see. I hope it all works out as both Lack and Miller have been great and they have been gruesome though in their defense the D corps has not helped at all I guess time will tell. I did have this blog together before the Capitals game on Sunday so I just want to add all the problems that I have highlighted in this post seemed non existent, The second line was all over the ice and looked fantastic. The blue line looked relaxed and at ease with and without the puck and Ryan Miller made a few stellar saves to help his team finish with the win. Now I think, despite the few mistakes, that I would love to watch them play like that all season. The most positive sign in all games this season so far is that no matter what the score the team plays with the same level of intensity. This was missing last year. It seemed when they got down a couple of goals they would sag and lag and look very uninterested and get blown out. When they got up a few goals they would sit back and try to protect their lead. They are not built to defend, they are built to attack and as long as they stay on the attack they will be a successful team. Thanks for reading everyone and if a Hammering Hamhuis hip check comes you’re way… Just go with it, you probably needed the rest anyway. 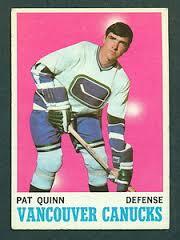 This entry was posted in ALL THINGS CANUCKS and tagged Canucks Nitpick?, SECOND LINE ABLE?. Bookmark the permalink.